FWC posted a few more fantastic photos from yesterday’s release of a four year old male at Kars Park in Merritt Island, FL. 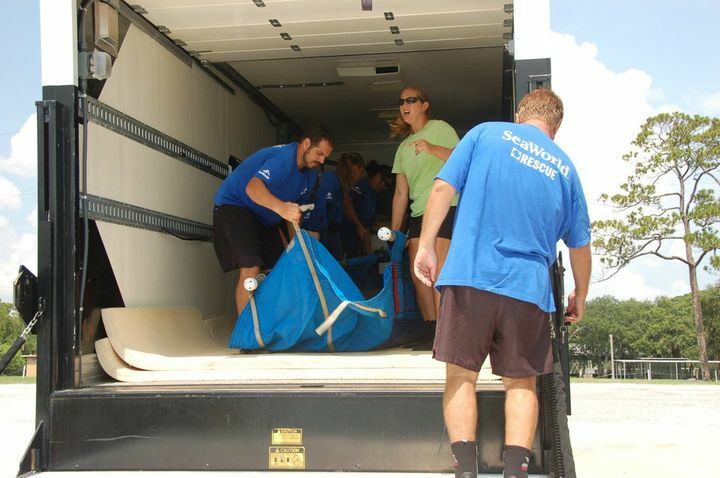 In them you can easily view the panel truck that SeaWorld Orlando uses for transport of injured and rehabilitated manatees (note the extensive styrofoam padding) and get a sense of the overall procedure for releases. You can also see in a few photos where the FWC biologists do last minute health checks to ensure the patient is ready and rarin’ to go and to do finalized photographs of scar patterns for future identification purposes. 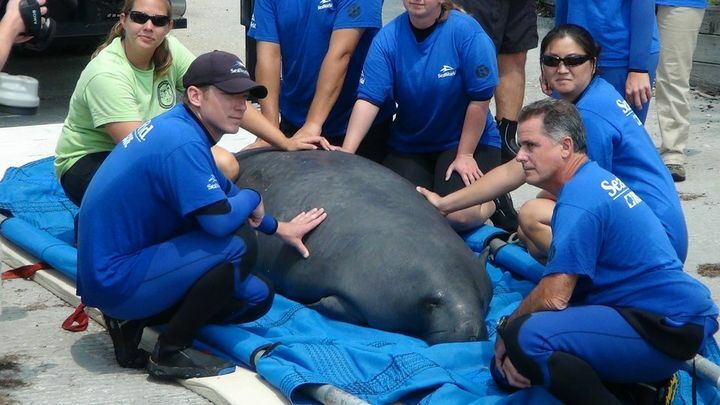 In some cases released manatees are tagged with satellite trackers so that movements can be detected. The belt is worn at the tail stalk where the paddle meets the body. This individual doesn’t appear to be carrying one. Also, I see some familiar faces from the SeaWorld crowd in these photos! 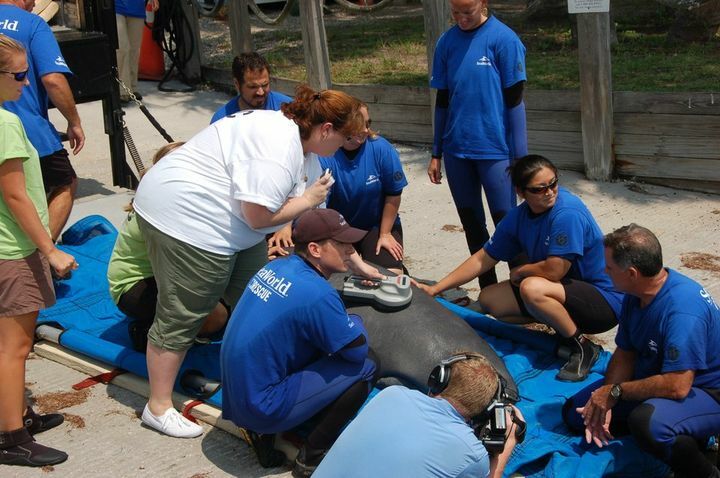 The Animal Care team pictured here represents decades worth of vested time and experience in caring for marine mammals. And they’re all quite fabulous off the clock as well. Cheers again for both teams’ hard work in the hot sun!